Currently marketed in the United States as Sprite Zero, Diet Sprite is described as a no-sugar, no-carb version of the popular lemon-lime soft drink. Although the Coca-Cola website describes Sprite Zero as "not a significant source of sugars," it does contain the artificial sweetener aspartame. This low-calorie sugar substitute has been an object of controversy in recent years due to its potential health risks. Talk to your doctor if you are concerned about the effects of aspartame or any other sweetener. The American Cancer Society notes that aspartame is one of the most common artificial sweeteners on the market today. It is sold in granular and packet form under the names NutraSweet and Equal, and is included many processed or prepared diet or low-sugar food products. It is 200 times sweeter than sugar, the American Cancer Society notes, but contains a negligible amount of calories. It consists of two amino acids, aspartic acid and phenylalanine, Family Doctor reports. In 1981, the U.S. Food and Drug Administration, or FDA, approved aspartame for use as an artificial sweetener, according to the American Cancer Society. It then began to appear on grocery shelves in breakfast cereals, chewing gum, puddings, dessert mixes and dry beverage mixes. In 1983, the FDA approved aspartame for use in carbonated drinks and carbonated drink syrups, the American Cancer Society reports. According to the American Cancer Society, the U.S. Food and Drug Administration, or FDA, set the acceptable levels of aspartame at 50 mg per kg of body weight. For a 150-lb. adult, this would equal 3,500 mg of aspartame, the American Cancer Society notes. 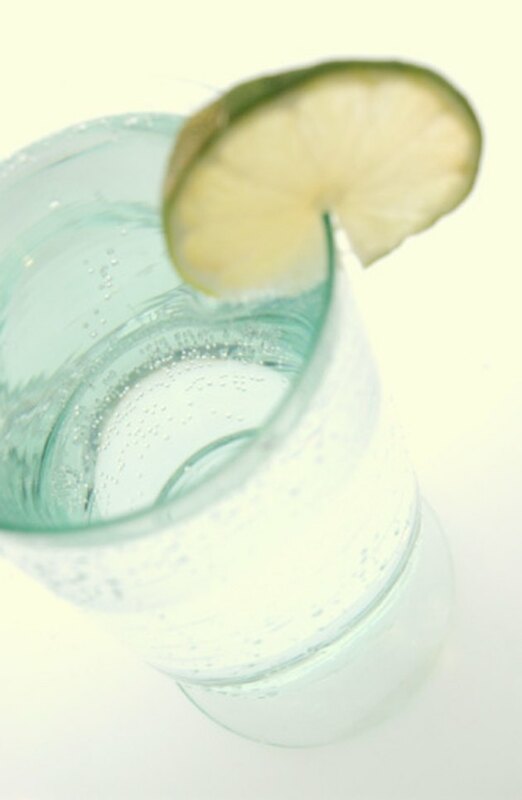 A typical diet soft drink, such as Sprite Zero, contains about 180 mg of aspartame, the American Cancer Society reports. Based on these figures, you would need to drink 19 cans of Sprite Zero to exceed acceptable levels. The American Cancer Society reports that there have been several concerns about cancer risk related to aspartame, and that concerns continue today. However, the American Cancer Society cites the FDA's recent rulings on aspartame, stating that it "finds no reason to alter its finding that aspartame is safe as a general purpose sweetener in food." Despite this, research into aspartame's possible link to cancer continue, the American Cancer Society reports. Family Doctor.org adds that despite ongoing concerns, studies have found evidence of a connection between aspartame and Alzheimer's disease, Parkinson's disease, lupus or multiple sclerosis. Despite these reports, there are some people who should not consume aspartame, the American Cancer Society reports. Specifically, those who suffer from phenylketonuria, a rare condition characterized by an inability to properly metabolize the amino acid phenylalanine, should avoid this sweetener. In addition, the FDA has received reports of dizziness, gastrointestinal problems and mood changes in relation to aspartame. If you experience concerning effects from Sprite Zero or any other aspartame-sweetened product, talk to your doctor and discontinue use.